If you enjoy boating, then you know that life jackets need to be on top of your Boating Safety Checklist. Boating safety should always be top priority and it is often required by law. There are a lot of life jacket laws by state that make it a requirement for anyone on the water to use life jackets. There are a lot of different designs of life jackets, which means that the activity and how you spend time on the water can determine which one would be suit your needs. For boaters, there are specific life jacket designs that will best work for time spent on deck and will save your life if there is ever an accident. 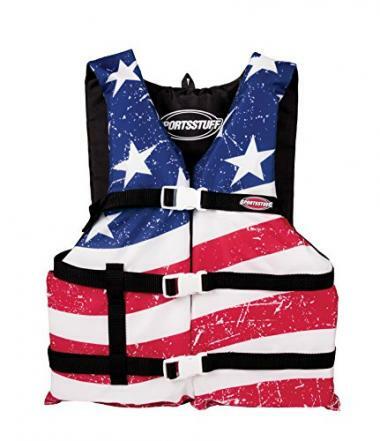 However, there are still a lot of different designs and features available in boating life vest designs. It can be overwhelming to choose one design and you may feel lost at sea. You want to ensure you have a design that is US Coast Guard approved but is also comfortable for the users. We have a list of the top 10 boating life vests, as well as all the information you need to choose the best design. 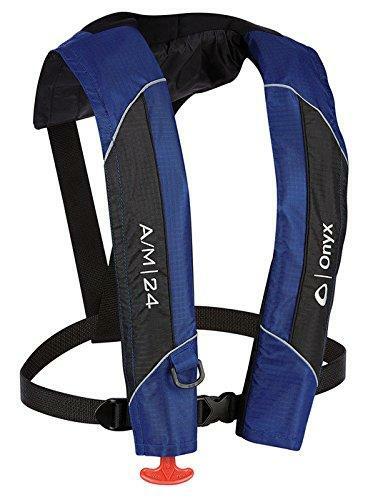 This top rated boat life vest had an inflatable design that uses tear and puncture resistant fabric. It inflates with manual movement by pulling a T-cord or upon automatic immersion in water. It is lightweight, comfortable, and slender. It has a soft neoprene neckline for all day wearing comfort. This life jacket is part of the Adult Classic Series. It has a nylon construction with a three buckle design. It is oversized to fit chests 52-62 inches. It is open sided, and Coast Guard approved. This General Purpose Boating Vest comes in a variety of sizes for infants, children, and adults. It is fit for all types of water activities and is made of 200 denier nylon and 150 denier polyester. It is open sided and has large armholes. This is a best-in-class safety performance flotation vest. It has a cooling channel on the interior back panel and a heavy-duty strap grab. It has mobility shaped panels to allow for easier movement. It is designed for infants, children, and youths. This is a pack of 4 Adult PFDs that are Coast Guard approved. They offer high mobility and a non-restrictive cut. There is a back loop for easy drying and storage. The foam corners are rounded and there are three buckles. They are approved for general boating. 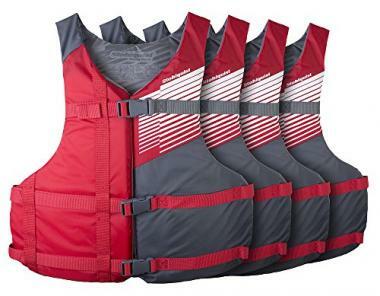 This 4 pack of Adult Life Jackets are a Kent Type II style. They are foam filled and colored orange on the outside. They come with their own stowage bag. 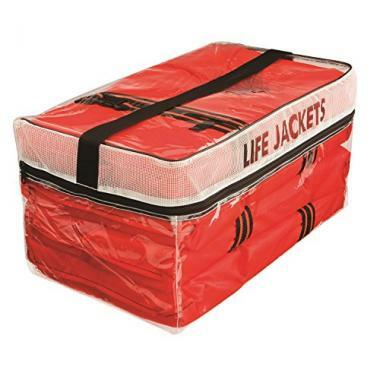 These life jackets are USCG approved and meet the recreation vessel requirements of all the states. They have a universal adult fit and there are also infant/child sizes available. They provide buoyancy and can turn an unconscious person face up in calm water. 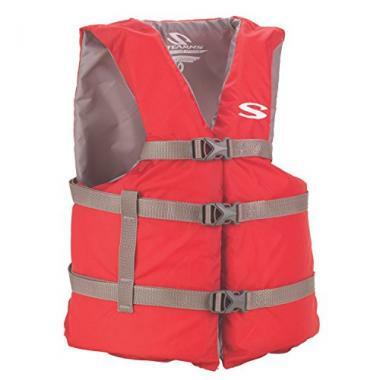 Life jacket for boating reviews state they are a “good product for a good price”. 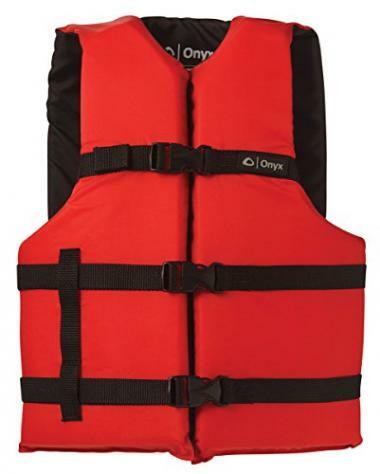 This is an extra-large Adult Life Jacket that is open sided to fit a wide range of sizes. It has 3 body belts with side release buckets. It is USCG approved and type III. It is UV and stain resistant. It is made of a 200 denier polyester shell with a lightweight Poly-E flotation inside. It has a stars and stripes pattern. 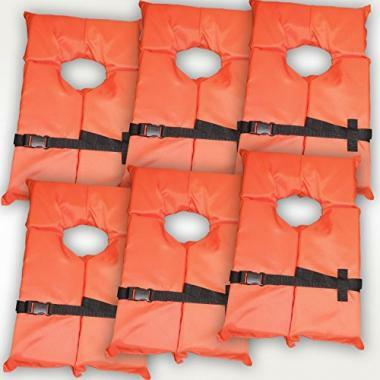 This 6 pack of life jacket vests is adult sized and offers basic flotation. They have a universal fit and can be worn by many different body types. They are designed for less bulk and more comfort. They are ideal for calm or inland water. They are made of polyester and are bright orange. These are universal sized life vests. They are USCG approved and Type III. They are made of nylon with an inner foam construction. They are great fitting and comfortable with a 3 buckle design. For boaters, using a life vest does not correlate to your level of competency as a swimmer. Everyone needs to be safe and use a boating life vest. You want to ensure that you have the correct life jackets for boating to maximize the safety of the boaters. The best boat life vest will ensure that if there is ever an accident, you will have a better chance at surviving. Even if you are in deep, rough, choppy, or cold water a top rated boat life vest should keep you afloat. However, there are a few key features that you should be aware of before making a purchase. We have also answered some frequently asked questions, so that you are prepared and have the best boating safety. There should be a variety of sizes available in life jacket designs. You want every boater, no matter what their size is, to be equipped with a boating life vest. This means that there are boating life vests for everyone. 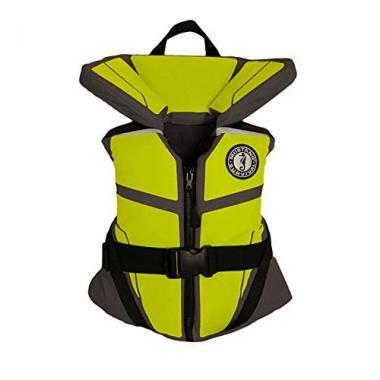 There are designs for infant life jackets, life jackets for kids, and specific women’s life jackets to ensure that everyone is safe. There should be no excuse for anyone to go without a life jacket. The size of the life jacket is important. You need to spend the time to find your correct size to ensure there is a proper fit. You need the size of your life jacket to fit your body. If you are pfd boating, which everyone needs to be doing, then your life jacket can’t be too small or too large. A personal flotation device needs to be snug enough that it will stay on your body as it floats in the water, but not too tight that you are restricted or uncomfortable in your movement. 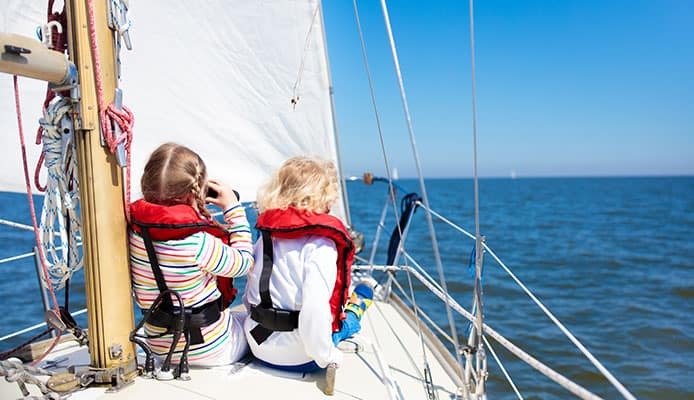 All life jackets will restrict you a little and may be cumbersome to work around at times, but the best life jacket for boating will ensure that you are safe and can still properly move and function. Many life jackets will have adjustable straps that can be tightened or loosened around the body to ensure the perfect fit. A good fit means that the life jacket can be pulled at the shoulders and won’t slip too far up or off the body. Most life jackets are made of a form of nylon because it is a durable but lightweight material. Polyester may also be used. Nylon and polyester are good candidates because they can withstand being submerged in water and won’t break down for a long time. 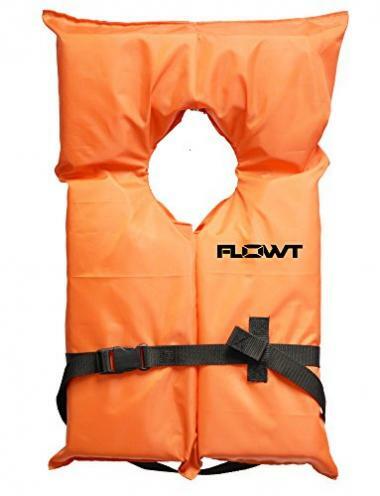 It is durable as an outer layer of the boating life vest. The straps around life jackets for boating are often made of nylon webbing. This ensures that the straps are durable and will hold strongly. Nylon webbing also won’t shrink after being submerged in water, so you won’t worry about the fit of your boating life vest warping or changing after use. The inside of your life jacket will use foam that doesn’t absorb water, which keeps the user afloat. Often, the foam used is polyvinyl chloride foam or polyethylene foam. The fasteners of your life jacket can be made of metal or plastic. Others use zippers and Velcro to fasten the life jacket. Q: Does everyone have to wear the life jacket while on the boat? A: Yes, and it is often required by law. 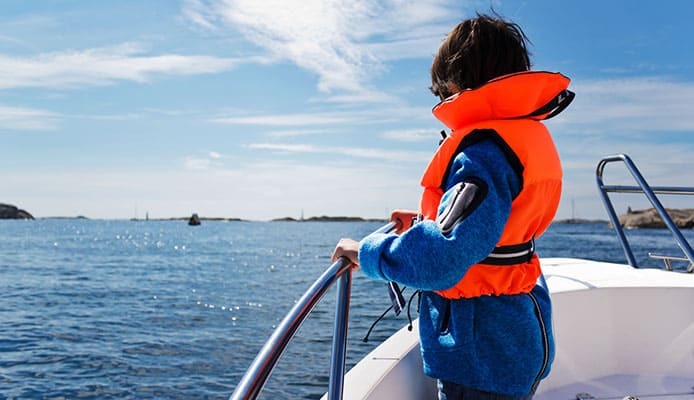 There are many boating safety laws and one is that every person must engage in pdf boating or personal flotation device boating. This means that the user has a life jacket or personal floatation device in the event of an emergency. You should be aware of the difference between a life jacket and PDF because it can affect which designs you choose. You should also be aware that you may not always remember what to do if your small open boat capsizes or any boat capsizes and the last thing you want to worry about is wasting your energy treading water for an unknown length of time. It is best to be prepared for emergencies and one way to ensure you are safe, as well as everyone else on the boat, is to use a top rated boat life vest. Q: How many emergency life jackets do I need on board? A: One for every person on board. Many boating laws state that for every person on board, there need to be a boating life vest available. 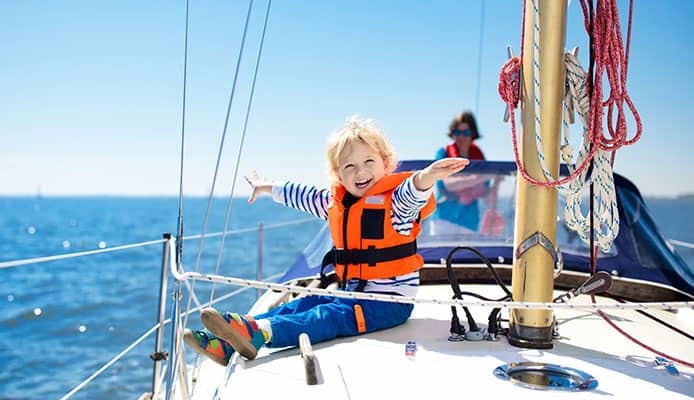 This means that every infant, child, teen, and adult should have a life jacket when on board. There is no excuse for anyone to go without a life jacket. If you are on a small, personal boat you may need only one or two life jackets. Bigger boats, even cruise ships, will have boating life vests stored for every passenger. It cannot be more important or said too many times that everyone needs a life vest. Q: How do I clean and maintain a life jacket? A: There should be specific cleaning or maintenance instructions provided with the purchase of your life jacket. It is important that you properly clean a life jacket to ensure it is always giving its top performance and it is also a way that you can routinely check for any wear or tear. You want your life jacket to always be in top shape to ensure it won’t malfunction or break in an emergency. For specific instructions that are broken down step by step, check out our article How to Clean Life Jackets for more information. Boating is a great activity that people of all ages can enjoy and experience. If you are boating safely, you won’t have to ever worry about being unprepared. In the event of an emergency, you will have exactly what you need to give you the best chances to survive and minimize injuries. A top rated boating life vest can save your life and give you peace of mind. You likely won’t have to ever use it, but it’s better to have it than go without. You can check out life jacket for boating reviews to help you find the best design. As well, if you know exactly what you need, you can save time and money by investing in the best boat life vest. 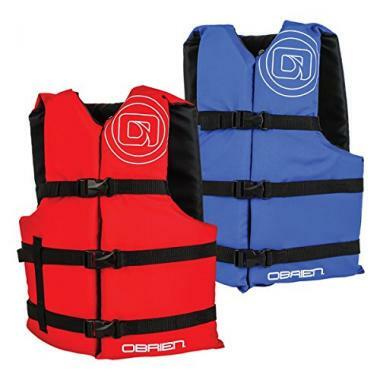 If you are in need of other life jacket styles, check out our articles on fishing life jackets, life jackets for water sports, inflatable life jackets, and life jackets for kayaking. Do you own one of the life jackets that made it onto our list? Let us know how it has worked for your boating needs in the comments sections below.